1. Schlunzen, F.; Zarivach, R.; Harms, J.; Bashan, A.; Tocilj, A.; Albrecht, R.; Yonath, A.; Franceschi, F. Structural basis for the interaction of antibiotics with the peptidyl transferase centre in eubacteria. Nature 2001, 413, 814821. 2. Hansen, L.H. ; Mauvais, P.; Douthwaite, S. The macrolide-ketolide antibiotic binding site is formed by structures in domains II and V of 23S ribosomal RNA. Mol. Microbiol. 1999, 31, 623-631. 3. Vester, B.; Douthwaite, S. Macrolide resistance conferred by base substitutions in 23S rRNA. Antimicrob. Agents Chemother. 2001, 45, 1-12. 4. Weisblum, B. Erythromycin resistance by ribosome modification. Antimicrob. Agents Chemother. 1995, 39, 577-585. 5. Leclercq, R. Mechanisms of resistance to macrolides and lincosamides: Nature of the resistance elements and their clinical implications. Clin. Infect. Dis. 2002, 34, 482-492. 6. Prunier, A.L. ; Malbruny, B.; Tande, D.; Picard, B.; Leclercq, R. Clinical isolates of Staphylococcus aureus with ribosomal mutations conferring resistance to macrolides. Antimicrob. Agents Chemother. 2002, 46, 30543056. 7. Tait-Kamradt, A.; Davies, T.; Appelbaum, P.C. ; Depardieu, F.; Courvalin, P.; Petitpas, J.; Wondrack, L.; Walker, A.; Jacobs, M.R. ; Sutcliffe, J. Two new mechanisms of macrolide resistance in clinical strains of Streptococcus pneumoniae from Eastern Europe and North America. Antimicrob. Agents Chemother. 2000, 44, 3395-3401. 8. Occhialini, A.; Urdaci, M.; Doucet-Populaire, F.; Bebear, C.M. ; Lamouliatte, H.; Megraud, F. Macrolide resistance in Helicobacter pylori: Rapid detection of point mutations and assays of macrolide binding to ribosomes. Antimicrob. Agents Chemother. 1997, 41, 2724-2728. 9. Pereyre, S.; Gonzalez, P.; de Barbeyrac, B.; Darnige, A.; Renaudin, H.; Charron, A.; Raherison, S.; Bebear, C.; Bebear, C.M. Mutations in 23S rRNA account for intrinsic resistance to macrolides in Mycoplasma hominis and Mycoplasma fermentans and for acquired resistance to macrolides in M. hominis. Antimicrob. Agents Chemother. 2002, 46, 3142-3150. 10. Depardieu, F.; Courvalin, P. Mutation in 23S rRNA responsible for resistance to 16-membered macrolides and streptogramins in Streptococcus pneumoniae. Anti-microb. Agents Chemother. 2001, 45, 319-323. 11. Pereyre, S.; Guyot, C.; Renaudin, H.; Charron, A.; Bebear, C.; Bebear, C.M. In vitro selection of resistance to macrolides and related antibiotics in Mycoplasma pneu-moniae. Antimicrob. Agents Chemother. 2004, 48, 460465. 12. Fontana, C.; Favaro, M.; Minelli, S.; Criscuolo, A.A.; Pietroiusti, A.; Galante, A.; Favalli, C. New site of modification of 23S rRNA associated with clarithromycin resistance of Helicobacter pylori clinical isolates. Antimicrob. Agents Chemother. 2002, 46, 3765-3769. Appelbaum, P.C. ; Leclercq, R. Diversity of ribosomal 20. mutations conferring resistance to macrolides, clindamycin, streptogramin, and telithromycin in Streptococcus pneumoniae. Antimicrob. Agents Chemother. 2002, 46, 125-131. 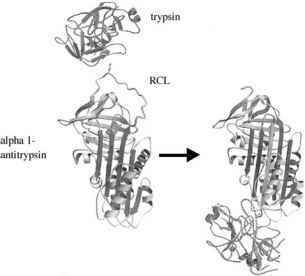 L22 ribosomal protein in Staphylococcus aureus. Anti-microb. Agents Chemother. 2002, 46, 2200-2207. 15. Megraud, F. Helicobacter pylori antibiotic resistance. Prevalence, importance and advances in testing. Gut 22. 2004. In press. 16. Versalovic, J.; Shortridge, D.; Kibler, K.; Griffy, MV. ; Beyer, J.; Flamm, RK. ; Tanaka, S.K. ; Graham, DY. ; Go, M.F. Mutations in 23S rRNA are associated with clarithromycin resistance in Helicobacter pylori. Antimi-crob Agents Chemother. 1996, 40, 477-480. 17. Menard, A.; Santos, A.; Megraud, F.; Oleastro, M. PCR- 23. restriction fragment length polymorphism can also detect point mutation A2142C in the 23S rRNA gene, associated with Helicobacter pylori resistance to clarithromycin. Antimicrob Agents Chemother. 2002, 46, 1156-1157. 18. Gibson, JR.; Saunders, NA. ; Burke, B.; Owen, RJ. Novel 24. method for rapid determination of clarithromycin sensitivity in Helicobacter pylori. J. Clin. Microbiol. 1999, 37, 3746-3748. 19. Chisholm, S.A.; Owen, R.J.; Teare, E.L.; Saverymuttu, S. 25. PCR-based diagnosis of Helicobacter pylori: Infection and real-time determination of clarithromycin resistance directly from human gastric biopsy samples. J. Clin. Microbiol. 2001, 39, 1217-1220. Matsumura, M.; Hikiba, Y.; Ogura, K.; Togo, G.; Tsukuda, I.; Ushikawa, K.; Shiratori, Y.; Omata, M. Rapid detection of mutations in the 23S rRNA gene of Helicobacter pylori that confers resistance to clarithromycin treatment to the bacterium. J. Clin. Microbiol. 2001, 39, 691-695. Oleastro, M.; Menard, A.; Santos, A.; Lamouliatte, H.; Monteiro, L.; Barthelemy, P.; Megraud, F. Real-time PCR assay for rapid and accurate detection of point mutations conferring resistance to clarithromycin in Helicobacter pylori. J. Clin. Microbiol. 2003, 4, 397-402. Lascols, C.; Lamarque, D.; Costa, JM. ; Copie-Bergman, C.; Le Glaunec, JM. ; Deforges, L.; Soussy, CJ. ; Petit, JC. ; Delchier, JC. ; Tankovic, J. Fast and accurate quantitative detection of Helicobacter pylori and identification of clarithromycin resistance mutations in H. pylori isolates from gastric biopsy specimens by real-time PCR. J. Clin. Microbiol. 2003, 4, 4573-4577. Trebesius, K.; Panthel, K.; Strobel, S.; Vogt, K.; Faller, G.; Kirchner, T.; Kist, M.; Heesemann, J.; Haas, R. Rapid and specific detection of Helicobacter pylori macrolide resistance in gastric tissue by fluorescent in situ hybridisation. Gut 2000, 46, 608-614. Vacher, S.; Menard, A.; Bernard, E.; Santos, A.; Megraud, F. Detection of mutations associated with macrolide resistance in thermophilic Campylobacter spp. by realtime PCR. Submitted. Canu, A.; Abbas, A.; Malbruny, B.; Sichel, F.; Leclercq, R. Denaturing high-performance liquid chromatography detection of ribosomal mutations conferring macrolide resistance in Gram-positive cocci. Antimicrob. Agents Chemother. 2004, 48, 297 - 304.